Samadhi Retreats is looking for a Digital Marketing Executive in Singapore, Malaysia. If you meet the requirements below, you will be eligible to apply via Digital Marketing Community. Improve and maintain brand websites, to ensure consistency and content fit. Produce insights for improving content marketing efforts and social media campaigns Support demand generation activities by identifying content opportunities. Assist to create and support marketing content to socialize and use for social media purposes (e.g. videos briefs, blog posts, posts from analysts and customers). Advance engaging, innovative and creative content to engage audiences. Accountable for production of marketing collaterals in support of marketing activities. Manage and execute photo shoots for print and social media, online and offline collaterals. Design and implement promotional campaigns for hotels and restaurants. Be constantly aware of new trends, be pro-active to contribute ideas to projects. Effective knowledge of Adobe Photoshop and Adobe Illustrator preferred. Proficient experience with any EDM creation platforms and Drupal CMS is a plus. High ability to think creatively and identify and resolve problems. Deep working knowledge to clearly and effectively articulate thoughts and points. Great levels of integrity, autonomy and self-motivation. Solid analytical, organizational, project management and time management skills. 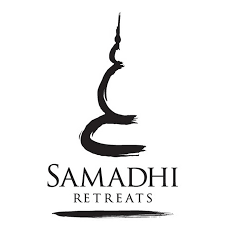 SAMADHI Retreats is an established and ambitious hospitality group offering unique holiday and dining experiences in unique locations across Asia.